This month the focus falls on a new album from Diana Damrau, a reissue from Leonard Bernstein and a must-hear, Orpheus-inspired Baroque compilation. 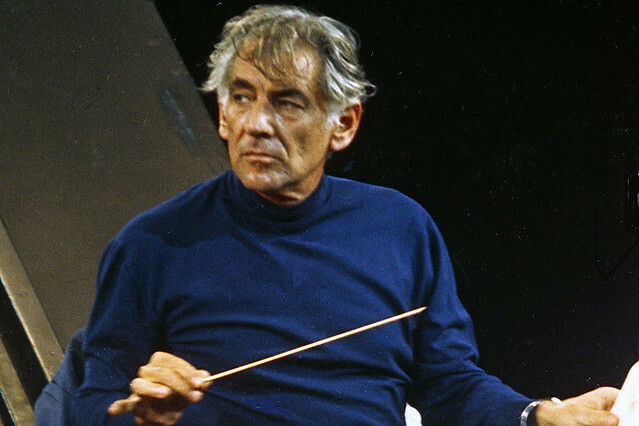 Long unavailable on CD, Pentatone have restored and released Leonard Bernstein’s 1973 recording with the Metropolitan Opera Orchestra of Bizet’s immortal Carmen. Marilyn Horne may not be everyone’s idea of Carmen, but her mezzo is luxurious, her characterization sharply defined and her star quality dominant throughout. James McCracken’s Don José is massively sung, his naturally craggy voice suggesting imminent emotional crisis, and he and Horne together spell danger in each encounter, ending in a particularly vicious finale. Adriana Maliponte is a vibrant Micaela and Tom Krause has all the swagger Escamillo needs. Yet for all the various strengths of its cast, this remains Bernstein’s Carmen: expansive, theatrical and provocatively paced, this Carmen leaps from the speakers and affords an immersive experience. For me, this is the most consistently satisfying recording of the opera yet committed to disc. Diana Damrau has nailed her colours to the mast here. Near enough unparalleled in bel canto repertory (she returns to Covent Garden in 2015/16 to sing Lucia di Lammermoor), she is in magnificent voice throughout this new recital, confidently in control and able to offer a multifaceted performance on each and every track. We expect Damrau to have all the goods when it comes to florid singing, and she does not disappoint in excerpts from Donizetti and Bellini – her Maria Stuarda would be something to experience in the theatre, if her rendition of the opening aria is an indication of the depth she would bring to it. As experienced at the ROH, her Violetta (La traviata) is complex and courageous, but I was surprised to come away from this disc most touched by her Mimì (La bohème) and Nedda (Pagliacci), both sung with disarming simplicity, and neither role associated with her. A very fine recital from one of our best artists. As The Royal Opera announces the continuation of its Orpheus myth-inspired programming, Deutsche Harmonia Mundi has put out this timely release covering music from early operas on the same theme. Led by Nicolas Achten (who plays both harp and theorbo as well as providing much of the vocal content), Scherzi Musicali are completely involved and involving in this repertory, creating a vibrant and authentic musical world, evocatively re-creating the sound of opera during its formative years in the early 1600s. To the forefront is of course a selection from Monteverdi’s great La favola d’Orfeo, but the other excerpts taken from operas by Monteverdi’s contemporaries — Rossi, Merula, De’Cavalieri and Peri — are no less exquisite. Intelligently grouped to allow the legend to follow its course, and with excellent performances from soprano Deborah York, this is an exceptional journey through some of opera’s earliest moments. The Royal Opera House Online Shop stocks a full range of classical recordings, as well as DVDs and merchandise. I thought the Carmen has long been available through DG? Not sure what they mean by restored, but as it was recorded in the early 70s, the sound was already quite good. I love Horne, but this recording is so very slow, that many critics have urged some caution in purchasing this set unless you like your operas at this sedate pace. I certainly would not recommend as a first or your only recording of this opera.